Ivan Szabo (1822-58) was a photographer in St Andrews before setting up his studio in Edinburgh in 1857. During his short life, several of his photos were accepted in early photographic exhibitions, in the late 1850s. Ivan Szabo entered 16 collodion portraits, including one of Sir David Brewster, in 1856 PSS Exhibition. Press comment on his exhibits was enthusiastic. Ivan Szabo went on to win a Gold Medal at the 1857 Brussels Exhibition. 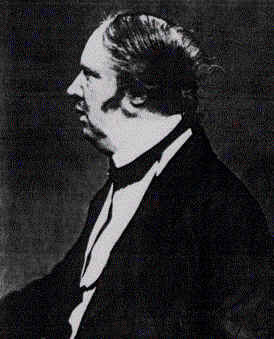 He also entered photographs in the Art Manufactures Association's 2nd Exhibition, which opened in Edinburgh in December 1857. - 2 portraits of Sir David Brewster, one described as having been taken with a Rock-crystal Eye-glass, one inch in diameter, 1/2 inch Stop, 55 seconds exposure. - Portrait of D O Hill Esq. - Portrait of Horatio Ross Esq. "Photographs Exhibited in Britain 1839-1865". Two collodion portraits by Ivan Szabo were entered in the 3rd PSS Exhibition, held in December 1858; but before that exhibition opened his death was announced at the PSS at its Meeting on 9 Nov 1858. - Miss Baillie submitted a portrait of her taken by Ivan Szabo. - James Farmer submitted two portraits of the late Ivan Szabo. 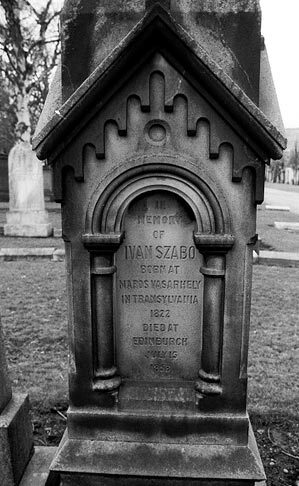 Ivan Szabo was born in Transylvania in 1822 and died in Edinburgh in 1858. Both the photos below are of Ivan Szabo's gravestone at Grange Cemetery, Edinburgh. 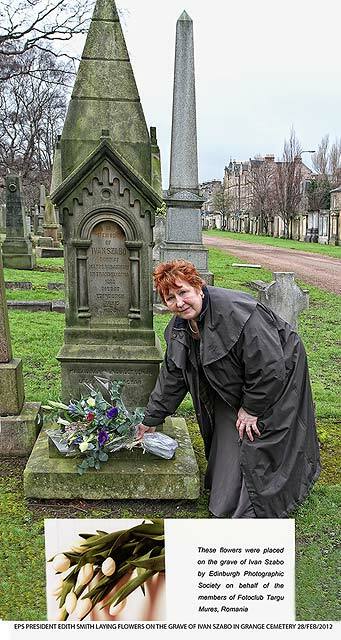 Photo 2 below is of Edinburgh Photographic Society President, Edith Smith, laying flowers on the Szabo's gravestone on behalf of the members of the Fotoclub Targu Mures, Rumania, on February 28, 2012. Here are two photos taken by Ivan Szabo of William Henry Fox Talbot pioneer of photography and inventor of the calotype process. 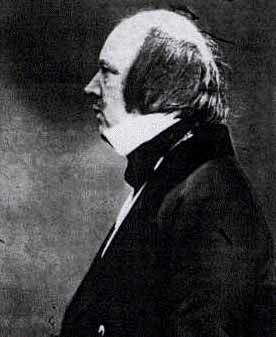 Talbot: “Hair Up, Collar Down"
by courtesy of the Science and Society Picture Library. Click here for link to web site.